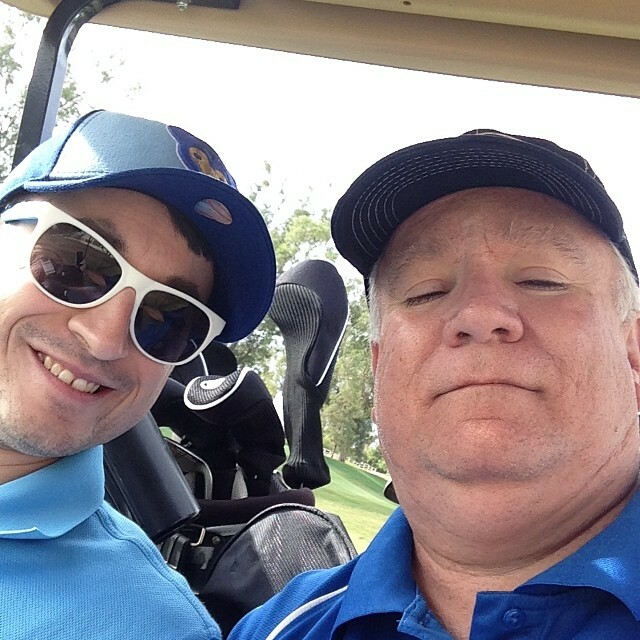 Here we are, my son Jeff Satterlee and me (Brian), golfing at the Wildfire Golf Club in Scottsdale, Arizona April 12, 2014. As you can see it was a nice sunny day with only a few clouds. Back in 2014 I was working in California for a client and driving on my stay over weekends out to the Phoenix area to spend time with family. I thought it might have been father’s day but it was a little too early in the year for that. Wildfire was a very nicely designed course, by Arnold Palmer, and we really enjoyed playing it. We got in a little trouble for getting too close to a tee box with the cart… just goes to prove that the members really care about the condition of the course. Jeff had a golf membership (not sure what kind of membership?) that allowed us to play the course as non members. We were treated really well and really enjoyed the day.